The Movement of People Affected by Dams – MAB affirms solidarity with the people affected by the rupture of the mining tailings dam Mina Córrego do Feijão, owned by the Vale company. The rupture occurred earlier this morning (Friday 25th) in the district of Brumadinho, state of Minas Gerais, Brazil. Once again, profit is put above human lives and the environment. We denounce the current mining model, of which privatized and transnational companies aims profit at any cost, affecting the lives of thousands of people. It was only 3 years ago that the Fundão Dam bursted, in Mariana, another crime against life – this announced tragedies are result of this model. 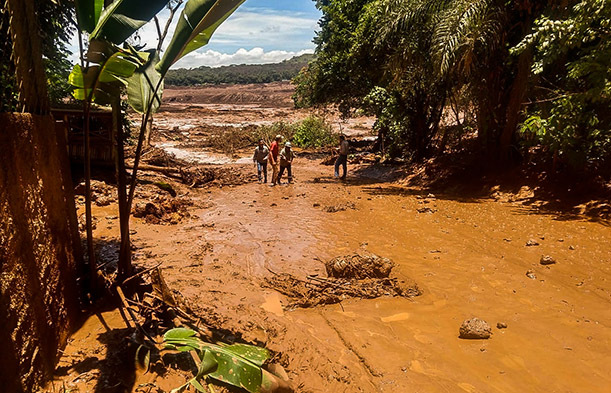 The dam which burst today had a capacity of 1 million cubic meters of tailings, which is now being spilled over the Paraopeba River, leaving a trail of destruction and death and endangering the water supply of thousands of families in more than 48 municipalities of the Paraopeba Basin. Since the year 2015, numerous complaints have been made about the risk of disruption of the tailings dam complex, and yet the Córrego do Feijão Mine was approved by the State Environmental Policy Council in December last year, 2018. The Movement of the People Affected by Dams reaffirms it’s solidarity with the workers and families affected at this difficult time and remains firm in the struggle for the rights of those affected. To seek information and provide solidarity, a MAB delegation is already on its way to Brumadinho. Water for life! Not for death!